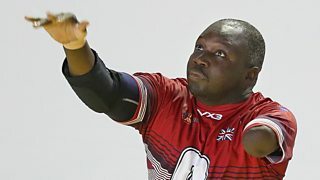 Discover Lamin Manneh's incredible story, from losing three limbs in an explosion in 2010, to winning a selection of medals at the 2017 Invictus Games. Watch highlights of the Invictus Games on BBC One. READ MORE: Find out how anyone can get into just about any sport with the fully inclusive Get Inspired guides.